International music scene today has come a long way. 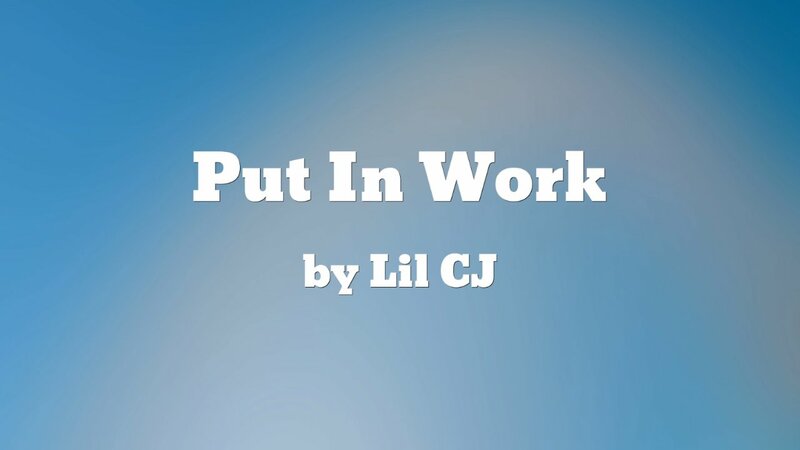 Lil CJ has come up with her upcoming single, Put in Work, which will be a big contribution to the scene. Today, music is getting international and reaching out to every nook and corner of the world. There are plenty of genres that are popular but the youth surely love to groove in Rhythms and Blues (R&B), and Hip Hop music. This has been the reason for even new-age artists like Lil CJ to come up with their own brand of music with the hope of speaking out and reaching out. Lil CJ has just dropped her latest single Put in Work. This album is available on iTunes. Lil CJ – The Voice of the Soul: A young woman from St Thomas US Virgin Islands, Lil CJ has come up with her upcoming single. She has already come up with many other songs and albums at this young age. Her songs have this charm that makes her a favorite of the youth. R&B and Hip hop music have been a rage at the dance floors, and this is one of the reasons that everyone is already taking this genre of music seriously. The R&B genre has legends in the field like Chris Brown, Bruno Mars, Drake and The Weeknd, who are ruling the billboards currently. Likewise, Hip hop has artistes like Wiz Khalifa, Jay Z and others who have made a solid contribution to this world of music. But as they say, the world is waiting with open arms for a modern generation of musicians and singers. That is the reason Lil CJ is going to be the new name that has the immense potential in this world. What to expect from Put in Work: While the R&B compositions usually pull at the heart strings, hip hop too does that but in a much stronger way. Tupac and other such musicians have given a robust feeling of the society through their music, and this is why there are so much of modern singers attempting this genre. Lil CJ certainly will be offering more of such music with her latest Put in Work. About Lil CJ: Based out of St Thomas US Virgin Islands, Lil CJ is a budding musician in her own right. Her upcoming album, Put in Work will be available in iTunes from where you can download and listen. For more details about Lil CJ, please visit www.lilcj4.com.